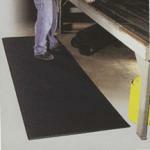 Anti fatigue mats are often used to decrease foot weariness for workers who stand in one position for long periods. Comfortable floor mats are also used to create a safer work place. 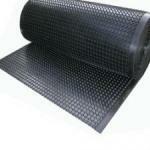 Some Anti-fatigue matting offer a very high slip resistance in greasy or wet areas. 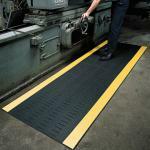 Some ergonomic matting has the OSHA Yellow borders to promote awareness of machinery and dangerous areas, or you may simply want to add cushioning to your home work areas. 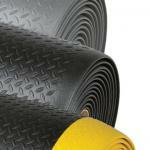 Whatever your needs Commercial Mats and Rubber.com can meet them! Line of Anti Fatigue mats that will not break the bank. Full collection of quality comfort mats at an affordable price! Need an Anti Fatigue mat and also worried about safety and traction. 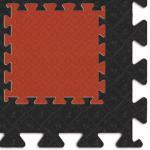 Take a look at this section of mats. Ribbed and textured surfaces help with traction and safety while providing much needed comfort. 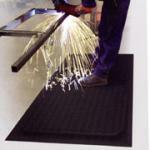 Very high quality Anti Fatigue Mats for the most demanding applications. 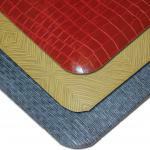 Long lasting durable comfort mats that will perform for years to come. Work in a wet or oily environment and need relief from aches and pains from standing all day. 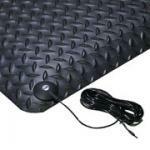 This very high quality durable anti fatigue mats are the answer. 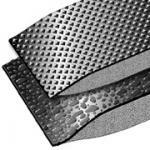 Very popular line of industrial diamond plate surfaced anti fatigue mats for traction comfort and durability. The unique Bubble top design of commercial Anti Fatigue mats offers a comfortable surface that promotes stimulation to tired legs and feet. Need protection from Static electricity and fatigue relief. This is the collection for you. 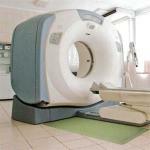 It includes conductive and static dissipative types. Tired of aching feet and legs at the Salon? 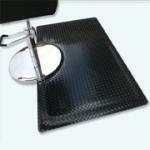 We offer an anti fatigue mat for just about any location type for your salon or spa. Great collection of Designer and stylish anti fatigue mats for just about any application where comfort and good looks is needed. We offer Gel Pro Anti Fatigue Mats for the ultimate stress relief. Four styles to choose from. Full collection of healthcare Anti fatigue Matting including: anti-microbial and a variety of uses such as: surgical areas, x-ray labs, radiology, pharmacies, emergency rooms and reception areas. 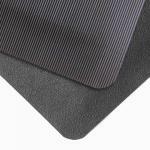 Great choice of Anti Fatigue matting for longer runs of coverage or odd / large shaped areas. 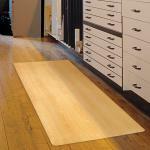 Great collection of easy to clean anti fatigue mats with marbled, plain, rubber and vinyl surfaces. 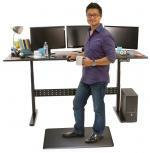 Standing Desk Mats reduce aches, pains and fatigue that come with standing at the desk all day long. Find out more! Collection of Welding and Spark resistant matting for the hard working metal worker offers support and comfort for long hours.